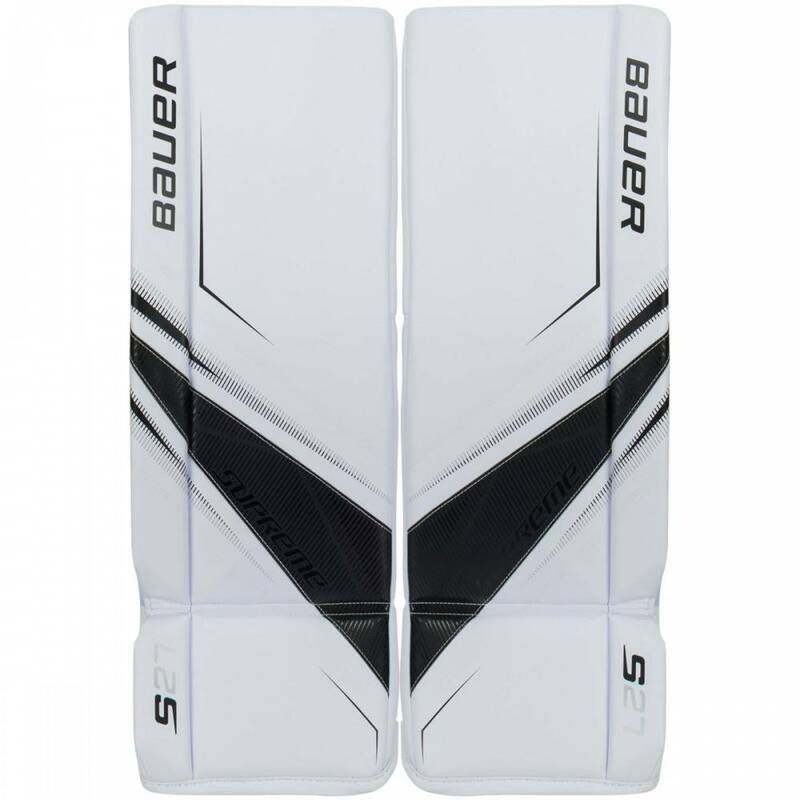 Perfect entry level pad for the hybrid goalie! 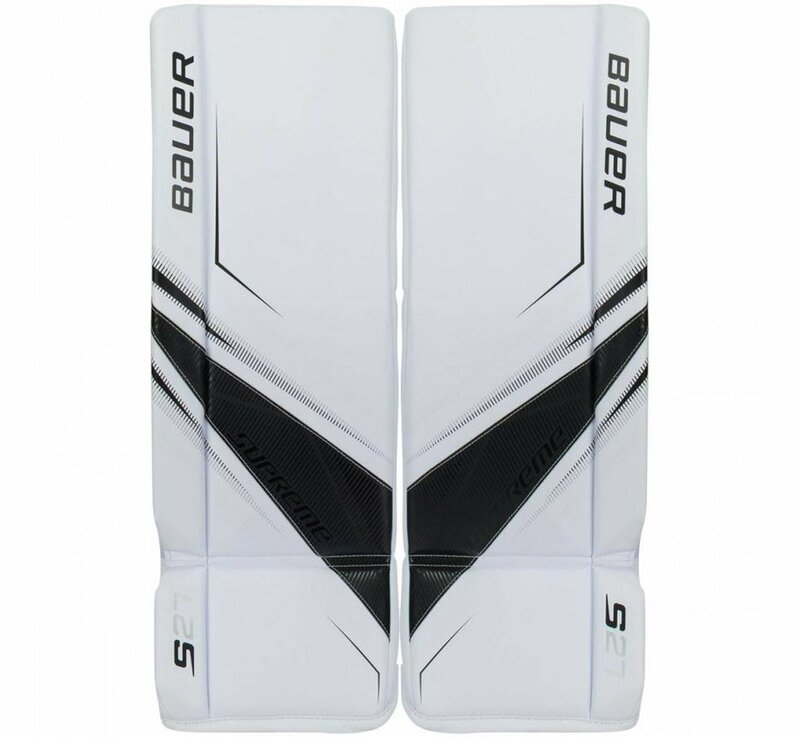 Brand new for 2018, Bauer has continued their revolutionary line and brought out the new Bauer Supreme S27 Junior Goalie Leg Pads. 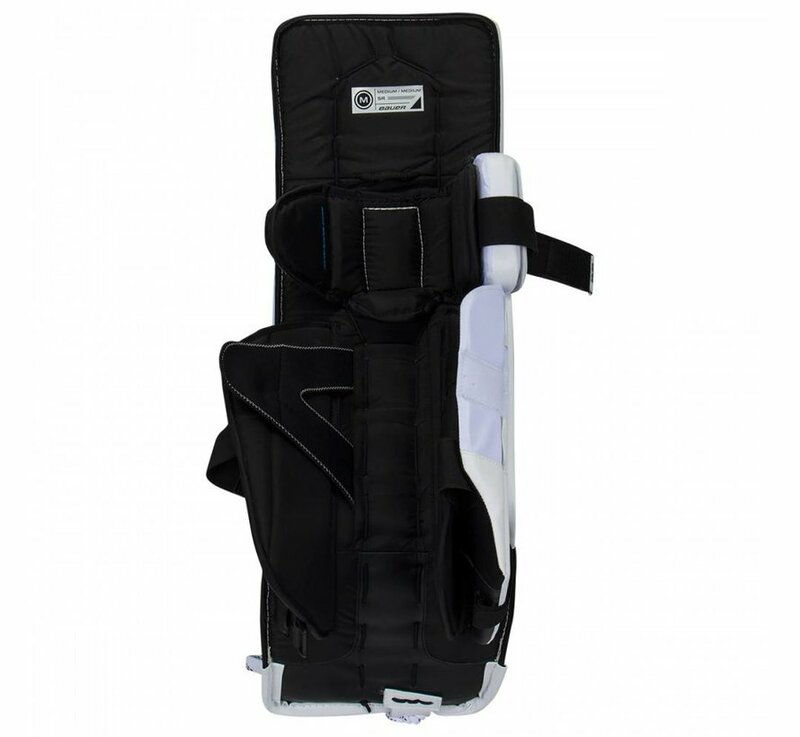 The S27 Senior leg pad will feature tweaks in the build process, construction and overall durability to make the Supreme line of equipment better than before. 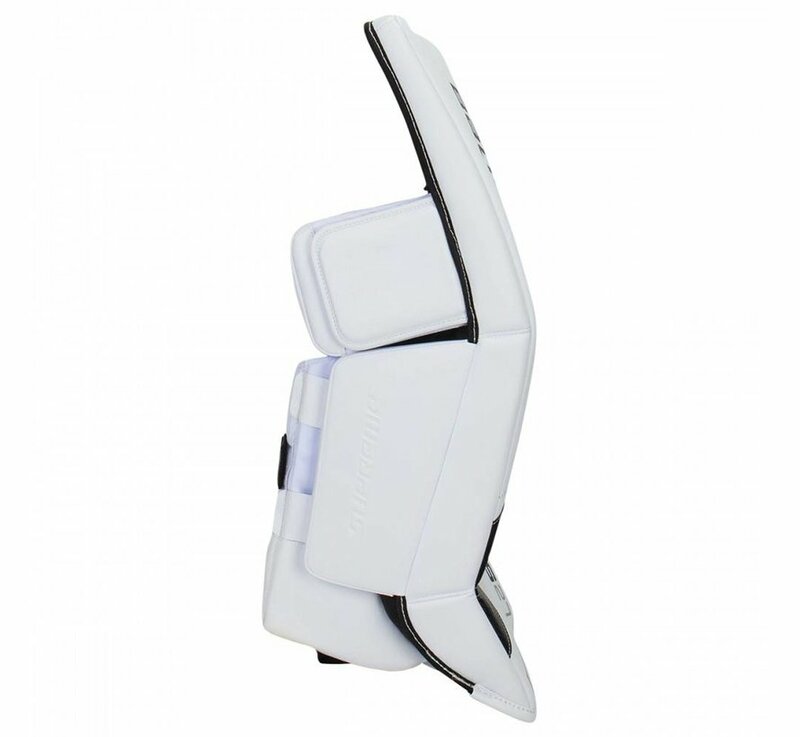 The S27 pads will feature outer materials which are similar to the S170 predecessor, which is a standard synthetic leather front face. 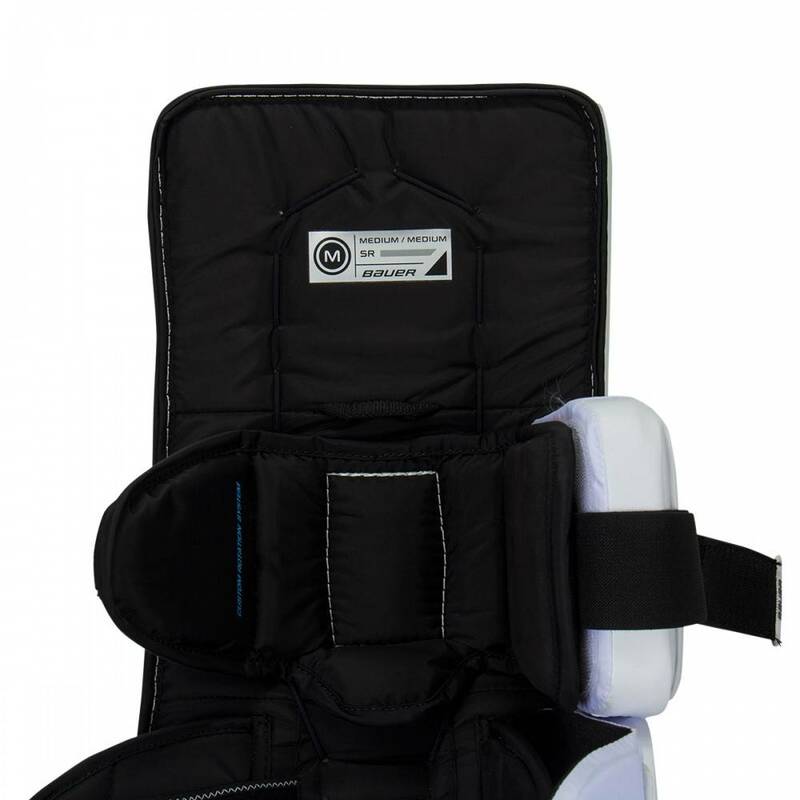 At the top portion of the thigh, the S27 features a traditional binding and thigh which is similar to the Vapor line. This design rounds at the edge of the pad which reduces overall surface area, allows for a seamless closure at the thigh rise and improves durability. Other improvements on the pad are found on the inside and outside toe portion of the S27 pad. Now, there is a subtle material reinforcement which is now sewn down to reduce any lifting from friction or sliding. On the outside toe, the reinforcement patch is larger and sewn down to help improve durability. 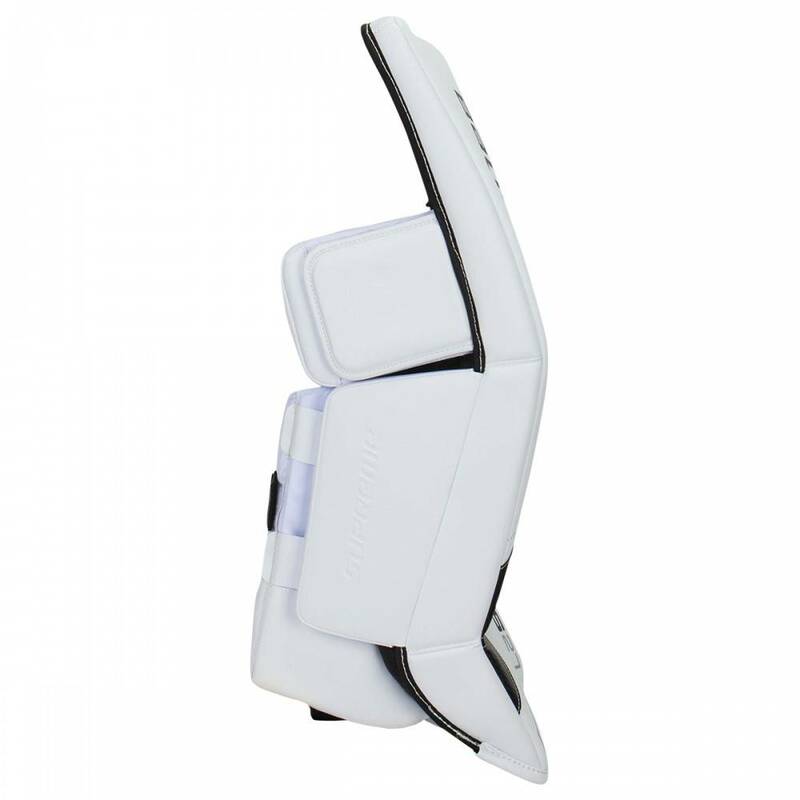 Internally, the pad features a still profile which will help increase rigidity and durability throughout the life of the pad. This shape will help kick out rebounds to increase the recovery time and reduce the amount of second shot chances, all while still providing ample flexibility for multiple styles of goaltending. 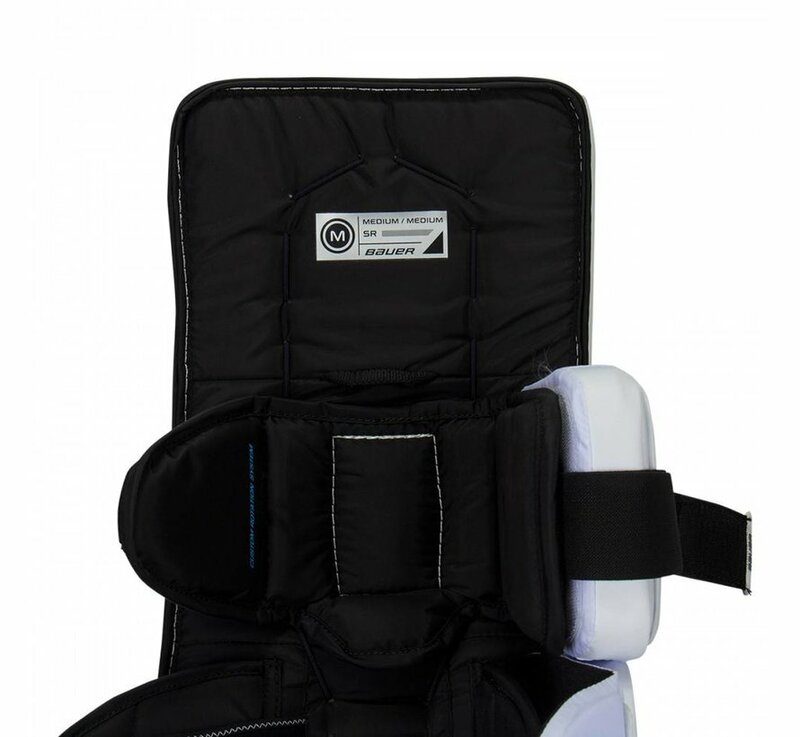 On the knee section of the pad, there is a adjustable new knee block which is made of a simple nylon material designed to help the goaltenders knee grip into the pad and give the proper dialed in fit for the goalies preference. 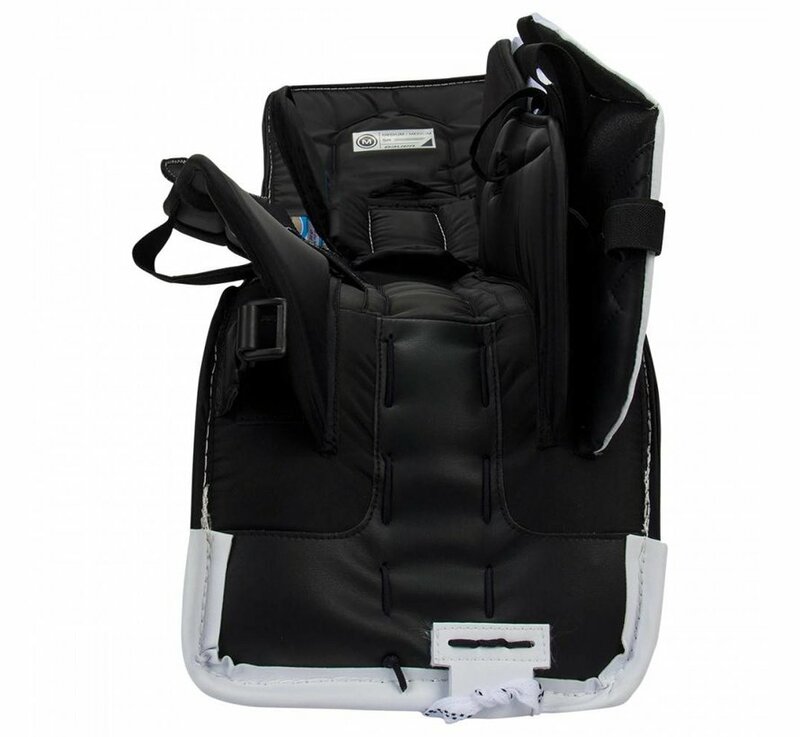 The thickness has been updated as well to provide more comfort when dropping into the butterfly. Moving through to the calf, in the previous generations there was a slight gap that pucks could potentially slip under, and this new laced-in design to the inner slide plate will create a better seal when in the butterfly. 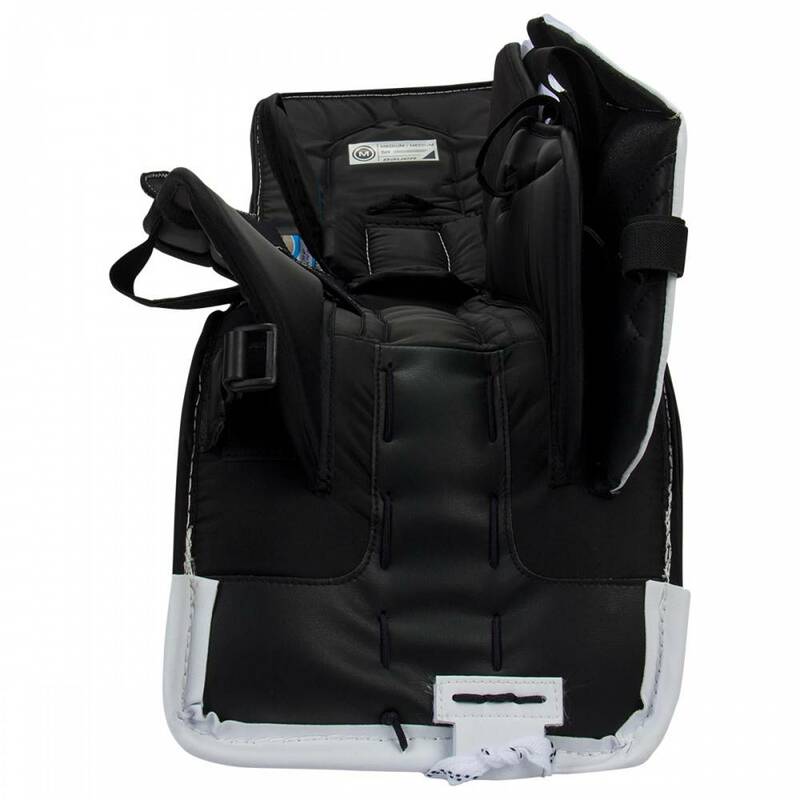 The middle strap runs from the outside of the leg to the inside of the calf to secure the inner calf and sliding plates. 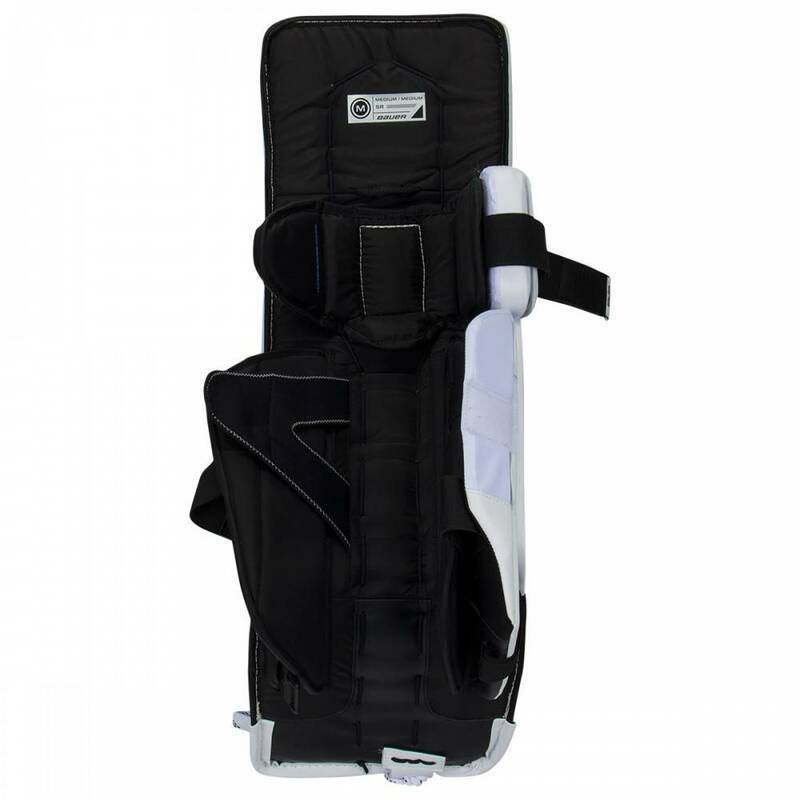 The last strap in the calf is lower on the leg, just above the boot to keep the goalies leg in the pad. Finishing off the pad, the S27 will feature an offset toe tie with standard skate laces to keep the pad close to the goaltenders leg. 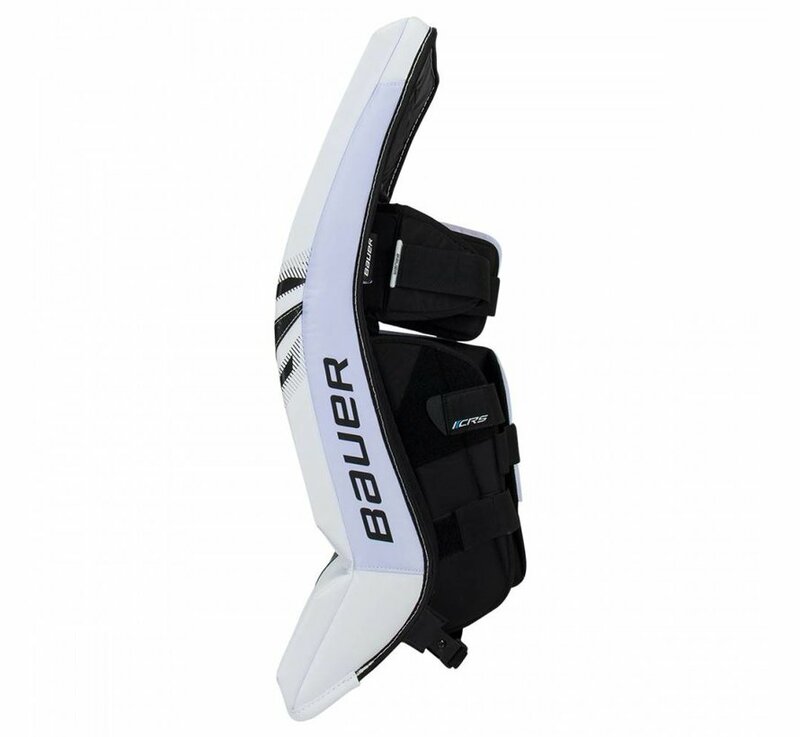 If you are an entry-level goalie who is looking for key upgrades in durability, seal and comfort, all packaged with simplified strapping, the Bauer Supreme S27 Senior Goalie Leg Pads will be for you. The standard color is white, if you want a different color: please contact us!